Ramadan is the name of the ninth month of the Islamic calendar during which able-bodied Muslims fast from dawn until dusk. The Islamic calendar follows the lunar cycle so each year, the date of Ramadan goes backward in the Gregorian calendar. This year in North America, Ramadan begins at sunset on May 5 and will end at sunset on June 4. The farther north you live, the longer the days are. Months are marked by the sighting of the thin crescent of the new moon. Muslims wake early before dawn to have an early morning meal called sahoor. Fasting begins just before the break of dawn and continues through the day until dusk when the fast is broken with a meal called iftar. During Ramadan, Muslims are expected to go about the day as normal and even work harder to be kind, do good deeds, and practice patience. No food or drink can be consumed during fasting times. Young children, the elderly, pregnant women, and those are sick or who have a medical condition that makes fasting a burden are exempt. Ramadan lasts 29 to 30 days and ends with a three day celebration or festival called Eid al-Fitr, meaning “Festival of breaking the fast”. Ramadan is observed by Muslims all over the world whose cultural practices color some of what you might see during Ramadan. While it is generally accepted for a Muslim to begin fasting at the age of puberty, many families encourage younger children to try fasting, even if for only part of a day. Your Muslim students might insist that they cannot sing or dance during this month. Some might be quiet or tired, while for others there will be no difference. Communication with your students and their families will generally answer any questions you have better than generalizations you find here. Sing as written or in canon. Add percussion ostinati based on phrases: “stars are shining” (ti-ti-ti-ti), “moon cycle” (ta ti-ti) etc..
Be sure to engage students in their suggestions. Help guide them thoughtfully and respectfully through the process. Students can generate new sections based on ostinati from words and phrases about Ramadan that can be played on pitched and non-pitched percussion. The origin of the word Ramadan is ramad, meaning intense heat. As physical heat can bring change to matter, the month of Ramadan is an opportunity for a person to be reshaped and forgiven of sins through prayer and fasting. The Quran has many quotes that faithful Muslims will share with one another during the month, for example: “O you who have believed, decreed upon you is fasting as it was decreed upon those before you that you may become righteous” [Chapter 2: verse 183]. Ramadan is a month of blessings and change, when people greet one another with the phrase “Ramadan Mubarak,” which roughly translates to “Happy Ramadan” or “Blessed Ramadan.” It is a time be mindful of behavior, to forgive others, to practice good deeds, and to strive to become better each year. In doing these things during the month of Ramadan, it is believed that you will be rewarded many times more. May you find peace and harmony during this time of Ramadan. Lisa Zargarpur is a K-6 music educator at Keene Mill Elementary in Fairfax, Virginia. 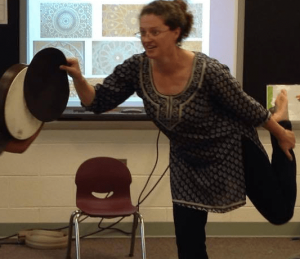 She took her Orff levels and Master Class at George Mason University and is a member of the Middle-Atlantic Chapter of the American Orff Schulwerk Association. 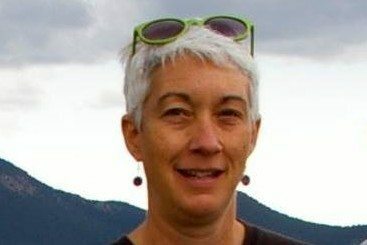 Lisa also serves a a board member on a committee at her local mosque and works with Prince William County Schools on Multicultural and Diversity training through the mosque. 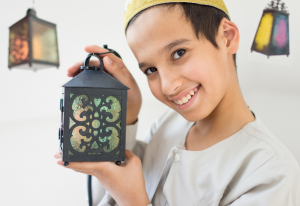 Thanks so much for this detailed lesson which will allow me to better connect with students who participate in Ramadan and inform those who may be unfamiliar with the Muslim culture. I really appreciate your clear explanations of this cultural event–as well as the fun and informative song. I teach general music to students in K-5 in Central Vermont. I look forward to including this lesson in our curriculum. Lisa and I are in the same chapter (MAC -AOSA) and she shared this beautiful song and experience with us. I had the opportunity to share this same experience with my students and their families and it was a success. I felt empowered as it was my first time sharing a Ramadan song. There are is so much room for creativity from your students with this piece.